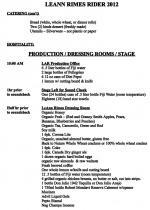 No, LeAnn Rimes’s tour rider does not include a demand for laxatives. 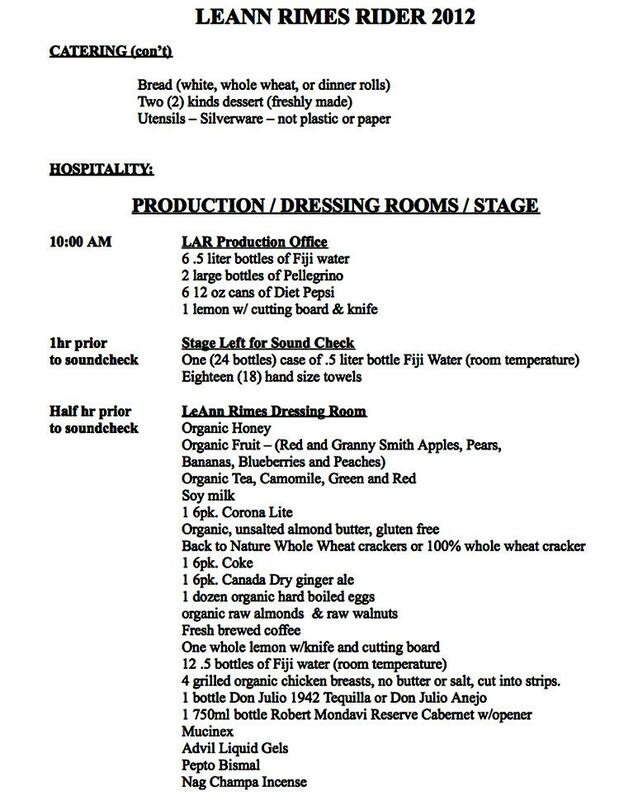 The country superstar, however, does require promoters to stock her dressing room with Pepto-Bismol, Mucinex, and Advil Liqui-Gels. The 30-year-old performer also wants a variety of organic grub (honey, fruit, tea, almonds, walnuts), four organic chicken breasts (no butter or salt) cut into strips, and soy milk. On the spirits front, Rimes needs a six-pack of Corona Light, a bottle of Cabernet, and a bottle of tequila (either Don Julio 1942 or Don Julio Anejo).